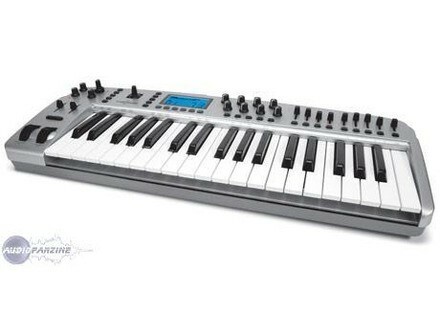 Ozonic, MIDI + Audio Keyboard Controller from M-Audio. 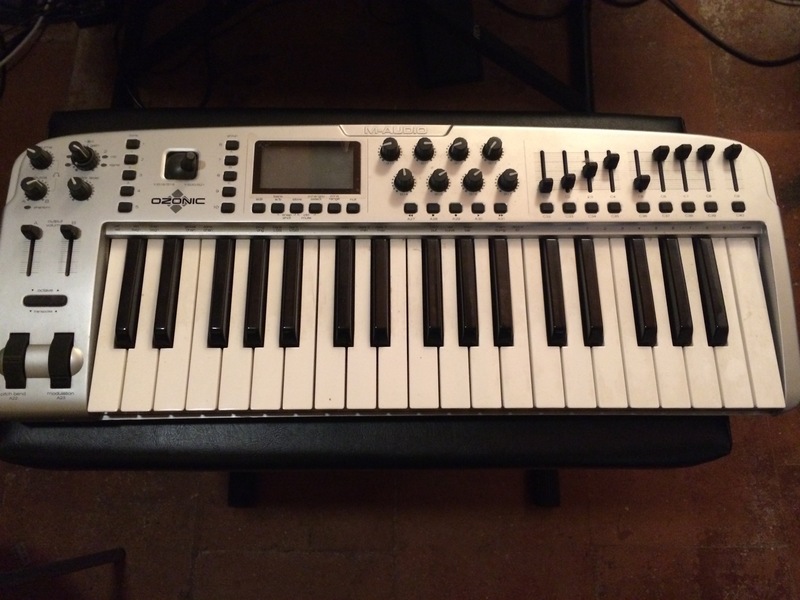 The M Audio Ozonic is a pretty good midi controller, its one of the first ones that I had a chance to use. There are enough sliders that you can program all of your knobs in your digital audio workstation to them and be good too go. 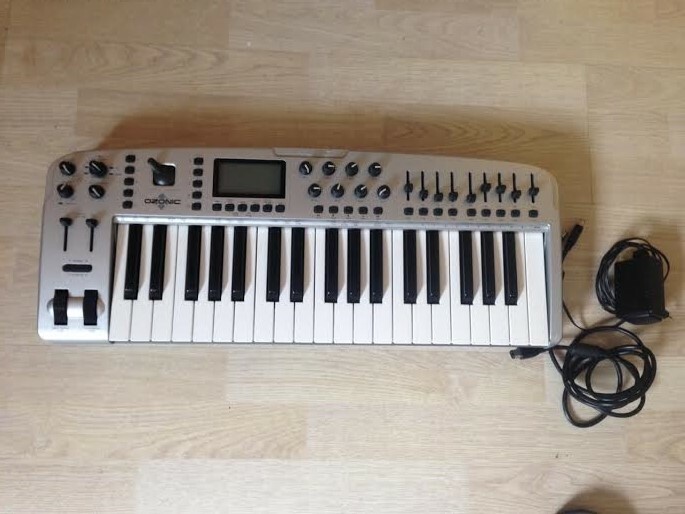 This keyboard is like all of the other thousands of midi controllers on the market, the only thing that stands out is that it has a lit up LED screen to navigate with and set up your programs with. You don’t have to set up programs in order to use it though, so if your just looking to hook it up and play look at some midi controllers without a screen because you don’t have to have it to use it. Its for more advanced users. I prefer the 88 over the smaller sizes for no restrictions on creativity! Just make sure you do research on what OS you have (ex: win7 64bit, win vista, etc) even if it says there are no drivers available on their site for Win 7, windows 7 has a built in midi driver. It works good, just do research on your ASIO stuff as well! There are still (as of 11/2011) no 64bit windows drivers available from the M-Audio site. Which basically means, the device still works, but with only one program at once. So if that is a limitation you care about, maybe check on the M-Audio site to see if these drivers are available yet. This limitation is apparently not a factor on OSX. 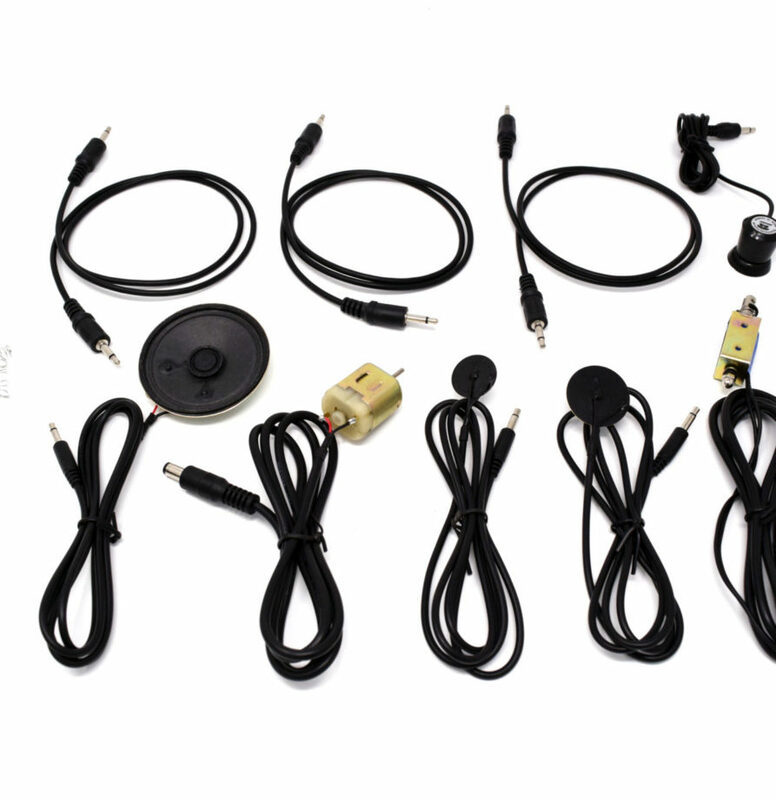 Portable, all-in-one solution, the Ozonic is the perfect tool for real mobile musicians. It's ideal to work with Reason (and the setup with this software is very quick). In the beginning I had some doubts regarding the reliability of the device, but I've been taking it everywhere with me for one year (even on a sailboat!) and I haven't had a problem. The sound card is ok and it offers the same performance as the Audiophile, for example: XLR mic input with phantom power, guitar input and stereo input. I only miss an S/PDIF input, but you can't always have everything. The playing feel is a bit soft but better than competitor products (Photon, eVolution, etc.). Very good global configuration, rotary controls, sliders, etc. Plus a joystick. It's works sweet with Reason. The display could be better. It's large enough but it only displays numbers whose meaning is hard to understand. It would be nice to at least give a name to the setups (one point off). Etnon4ever's review (This content has been automatically translated from French)" Audio Ozonic keyboard M"
How to completely install the M-Audio Ozonic keyboard on my pc and if it works with FL Studio software? Special apprciable most: a real all in one machine without vritable weakness. Good audio quality. The concept, while an almost matches what I was looking for. parr compared to other machines I've tried the Ozonic is a bit heavier and bulkier, but 37 keys are idispensables to play and contrler.rtuels The 25 keys (the O2) or less ca complicates the control of virtual intruments even if it is not a good player clave. If the concept a while (on firewire) you should report qualitt trs price is good.